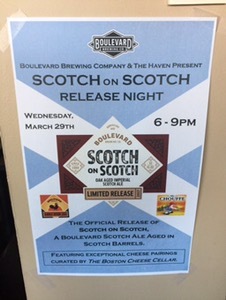 Wednesday sees the second Boston Cheese Cellar event with The Haven and this week we are pairing select cheeses with Boulevard Beers. This is a limited release Scotch Ale brewed in Scotch Oak barrels. Event starts at 6pm and stay for live music!